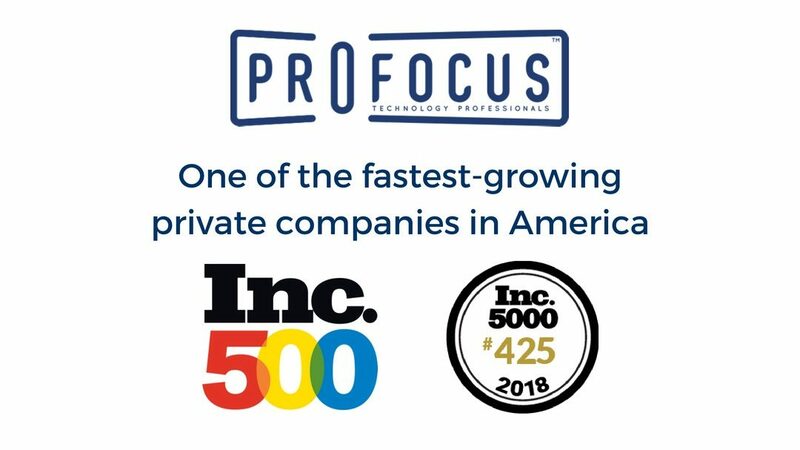 ProFocus Technology, a Portland-based staffing and consulting company, continues to thrive, earning a spot on the 2018 Inc. 500 List of America’s Fastest-Growing Companies. The Inc. 500 List focuses on one of the most important economic contributors —America’s independent entrepreneurs. If entrepreneurs are the lifeblood of an economy, consider Inc.’s ranking of 5,000 companies America’s circulatory system. Companies such as Intuit, Zappos, Under Armour, Microsoft, Jamba Juice, Timberland, Clif Bar, Pandora, Patagonia, Oracle, and other notable alumni gained early exposure as members of the Inc. 500. ProFocus ranked in the top 500 companies according to its percentage revenue growth from 2014 to 2017. Inc states that every year the list grows more and more competitive. To make the Inc. 500 list this year, a company had to grow by more than 1,000 percent. The national recognition comes at a time of expansion for Boone and his team. In a highly competitive business market, ProFocus strives to build a skilled network of consultants ready to drive innovation and growth in Portland and all over the country. “We appreciate all of our customers who have helped us grow and succeed in this industry,” stated Boone. The 2018 Inc. 500 List is the latest recognition earned by ProFocus. Recently, the technology focused staffing and consulting company was named on the list of Portland Business Journal’s Fastest Growing Private Companies for the second year in a row, and received Inavero’s Best of Staffing ® Talent and Client Awards. “We’ve been working hard with the goal of growing the company and this recognition is a great validation of all our hard work,” stated Boone. For more information about ProFocus visit https://www.profocustechnology.com/.